The Know Your Value founder recently gave up added sugar, saying it's affected her productivity. This smoothie helps satisfy her sweet tooth. It’s been about two weeks since I’ve given up added sugar, something I’ve struggled with for decades. It’s been really difficult, but I can already feel the difference in my energy and productivity levels! While I miss my Snickers, Double Bubble and Blow Pops (just to name a few), I’ve been turning to my favorite smoothie to help satisfy my sweet tooth. One of the best parts about this smoothie, which I’ve been drinking for years, is it has only two ingredients: mango and collard greens. No ice, no water. Just put the collard greens into a blender (I use a Vitamix) and add mango until you get the desired sweetness. That’s it! At first, it tastes a little weird. But it’s filling, gives me energy and makes my skin glow. I’ve even gotten Joe drinking these smoothies too — although he rarely finishes his! Sami Lea makes a smoothie with one scoop Greens Vibrance, two scoops collagen peptides, one tablespoon organic raw apple cider vinegar, half a banana, half a cup of frozen blueberries, one-fourth cup frozen raspberries, one tablespoon of raw ginger, one tablespoon raw turmeric, and one cup of water. She says, “This smoothie recipe makes enough for a quick and hearty on-the-go breakfast for my husband and I each morning. It begins our day with a healthy dose of protein, fruits and veggies, while sneaking in anti-inflammatory and digestion-friendly ingredients (which are particularly great for me right now as I am pregnant)”. 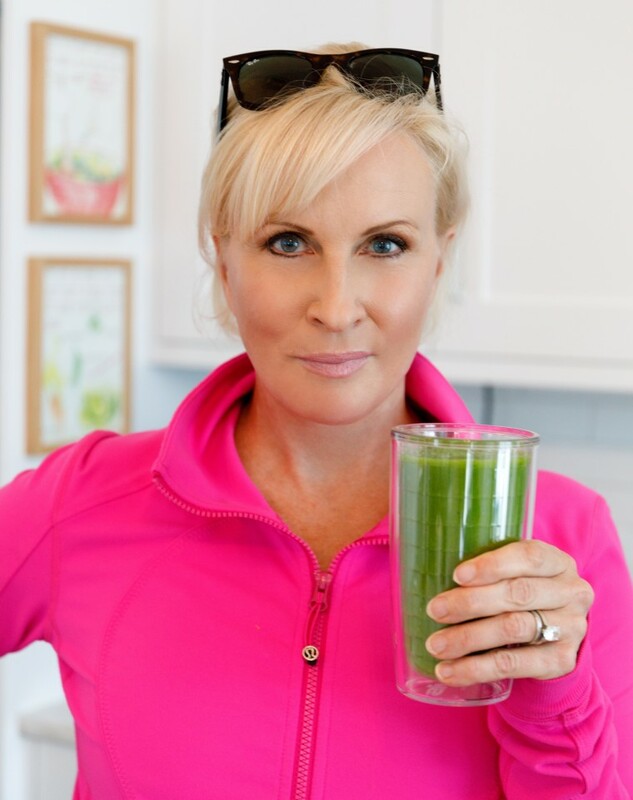 Daniela Pierre-Bravo, who is the co-author of my new book, “Earn It,” makes a green juice with kale, green apple, parsley, ginger and celery. It’s “so helpful with my sugar cravings, helps with digestion and is a great energy booster,” she says. Kim Ripley says she makes a protein shake with Arbonne’s Chai protein powder, spinach, Dandy Blend, flax milk and cloves. “Delicious and so good for you,” she says. Conchita Royster-Smith makes her smoothie with frozen acai, frozen peaches, fresh kale or spinach and blueberries.